In 1900, two brothers from Dayton, Ohio traveled to a remote village on the Outer Banks of North Carolina. They came to experiment with some radical ideas they had for a new invention. They chose Kitty Hawk because of its nearly constant wind and its solitude. The government monitoring of weather conditions also helped them document their findings. Starting first with a glider, the two men attempted to fly. For three years, their work remained largely secret, although milestone successes were very encouraging. Finally, in 1903, powered by an engine of their own manufacture, they managed to sustain and control a flight of 120 feet. The Wright brothers forever changed the course of civilization with their invention. It would be several more years before the world recognized their accomplishments, but they had taken those first all-important steps. They were not the first men to fly, but they were the first to fly a powered and controlled airplane. The quiet hamlet that was their first testing site was now famous as well. Today, Kitty Hawk is home to more than 3,000 people year-round and hosts thousands more during the tourist season. Three distinct areas encompass Kitty Hawk real estate, including the village, a beach community and a maritime forest area known as Kitty Hawk Woods. Shopping opportunities near Kitty Hawk real estate reflect the connection with the sea with Red's Carolina Outfitters carrying camping and hunting gear. Kitty Hawk ABC liquor is the only place in town at which you can buy liquor. Gray's Department Store carries apparel, headwear, home furnishings and gifts. It is fun to shop at some of the boutique stores in the area like Mango's Boutique, Plum Crazy and Shay Leslie. For a night on the town, step into the Black Pelican for seafood and the nightlife. For a casual atmosphere and tasty cuisine, try Barefoot Bernie's Tropical Grill and Bar. For a more relaxing evening, try Hurricane Mo's Beachside Bar & Grill. Enjoy the nightlife as much as the food at Ocean Boulevard. Boating adventures, charters and supplies are waiting for you at Dock of the Bay Marina. Outer Banks Music Showcase offers a great night out for families with a variety of musical offerings. 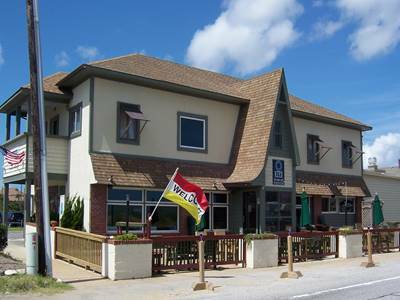 Take a stroll to the Promenade, the Outer Banks to chip, putt or play a round of miniature golf. There is always something to do near Kitty Hawk real estate. For both inshore and offshore fishing, Kitty Hawk Kites offers chartered runs. It also offers parasailing, paragliding, arial tours, hang gliding and yoga. 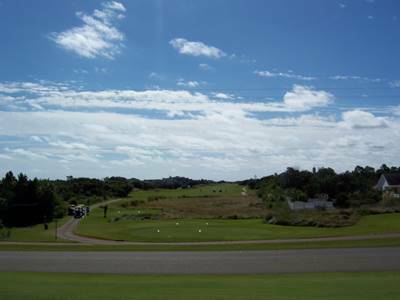 For a challenging round of 18 holes, Sea Scape Golf Links offers a fabulous course just a block away from the ocean. The scenery is gorgeous. Another opportunity for golfers is Duck Woods Country Club in Southern Shores. The median household income in Kitty Hawk is $49,508, compared to the state median of $45, 150. The estimated median home value in 2012 was $322,480 compared to $150,000 statewide and $139,000 in 2002. Kitty Hawk real estate prices range from $300,000 for a condominium to approximately $1.8 million. You will find spacious great rooms with decks for entertaining and watching the incredible sunsets over the Sound. Bike paths and walking trails meander through the nearby Kitty Hawk Woods. Huge windows make it easy to appreciate the gorgeous natural surroundings. The Dare Country School District encompasses Kitty Hawk real estate and maintains the First Flight Elementary School, First Flight Middle School and First Flight High School. Nearby colleges, including Elizabeth City State University, the College of Albemarle and Roanoke Bible College provide the opportunity to obtain higher education. The College of Albemarle is a community college that can provide the foundation for a Bachelor's degree or certification for a trade. 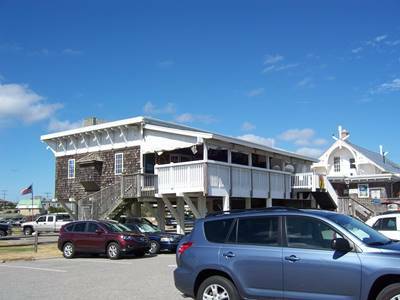 Heron Pond is a private school in Kitty Hawk that provides services for children through age 12. The school employs the Montessori Method of education. Residents of Kitty Hawk real estate can find emergency medical services at Beach Medical Care, a division of the Regional Medical Center. The facility also offers urgent care. 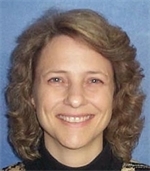 Coastal Women's Clinic provides specialized women's health services. The closest full-service hospital is located in Nags Head. The Outer Banks Hospital serves the entire Outer Banks region. The NC-12 serves as the primary route for Kitty Hawk to reach other points in OBX. The Wright Memorial Bridge crosses the Currituck Sound at the northern edge of Kitty Hawk. It is part of the US-158. The closest international airport is in Norfolk, VA. First Flight Airport is a public facility run by the U.S. National Park Service that accommodates small planes. It was here that the Wright Brothers made history with their first flights. If you are thinking about buying or selling a home in Kitty Hawk NC, give us a call at 252.207.1617 or send us an email to explore your options and to find out when is the best time for you to make a move.